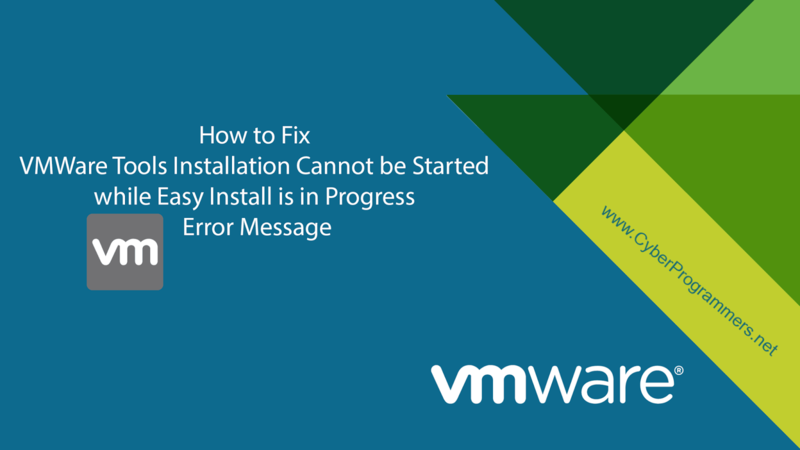 Few days ago when I'm trying to install VMware tools in my virtual machine I got a "VMWare Tools Installation Cannot be Started while Easy Install is in Progress" error. And I can't install tools on it anymore. But definitely, I find a solution for that error. So I will show you now how to fix it. First of all open VMware and from left panel choose that operating system and make sure it's turned off. Now at the bottom of power button you can see "Edit virtual machine settings" line, click on it. 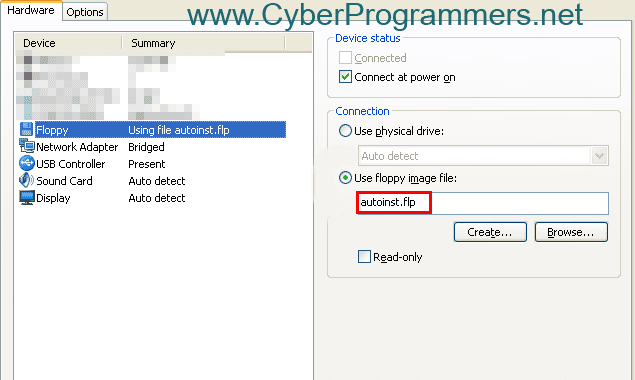 In newly opened window open Floppy settings and from right side delete "autoinst.flp" from the text box. Now you can start the virtual machine and install VMware tools without any problems.